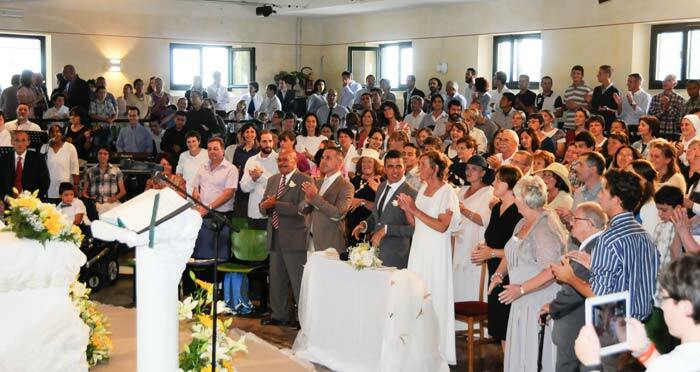 Big party in the community for the marriage of Niky and Djilali from the fraternity of Cherasco! We met at the fraternity of Envie to live this moment together between the joy and wonder of seeing a couple made of such different people but so united in the Lord. Many have attended the wedding: the boys and girls on the way, the consecrated brothers, sisters, friends, Niky ‘s family from England with traditional English hats and Mother Elvira could not be missing :she was the first to play with the children present. 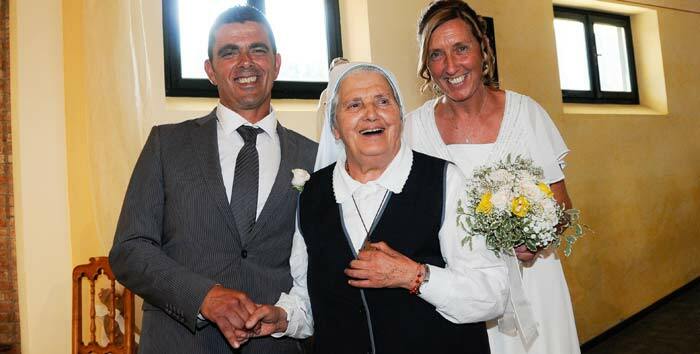 We thank Our Lady for this couple and ask for their family many blessings wishing them a good journey together!